Refugees arrive at Palabek refugee camp in Northern Uganda with the clothes on their back and what little they carried. New arrivals, many from South Sudan, receive a tarp, tent poles, a water can, a cooking pot and a ration card for enough food to make starvation a slower process. While aid agencies swarm Sub-Saharan Africa, home to more than 26 percent of the world’s refugee population, few make their desired impact. But African Women Rising (AWR) is having startling success. The organization educates women and girls in Northern Uganda, schooling them in literacy, micro-finance and agriculture. Within Palabek, the nonprofit’s lessons in permaculture may make the difference between people surviving the camp and eventually thriving in a new home or not. Permagardening is not a magic solution. The refugees don’t learn it in a day. Instead, refugee farmers participate in a series of trainings throughout the growing season. Local field staff called community mobilizers regularly monitor the gardens and troubleshoot problems as necessary. The Coles founded their nonprofit in 2006 to empower African women rebuilding their lives after war. “AWR’s vision is to build social, economic and political equality for women and girls in Africa,” the Coles said. 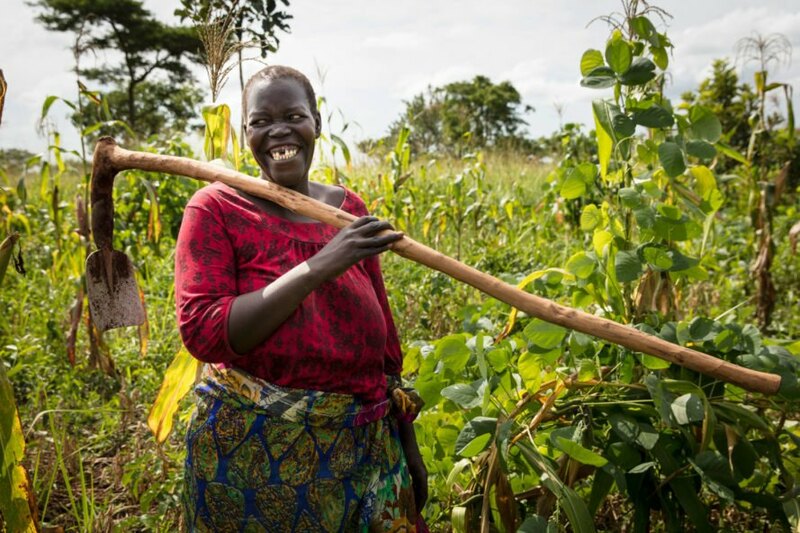 The small-but-mighty nonprofit’s programs help Northern Ugandan women to improve their lives through increased food production, natural resource management, financial security and education. Women traditionally care for children and keep households going, and therefore carry heavy post-war burdens. 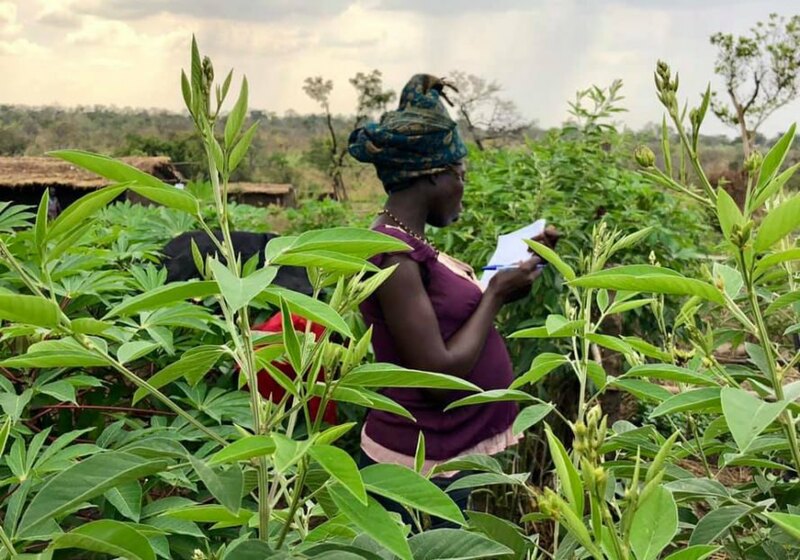 As Ugandan women try to feed families, they contend with financial lack and environmental challenges including deforestation, drought, erosion, water shortages and climate change. 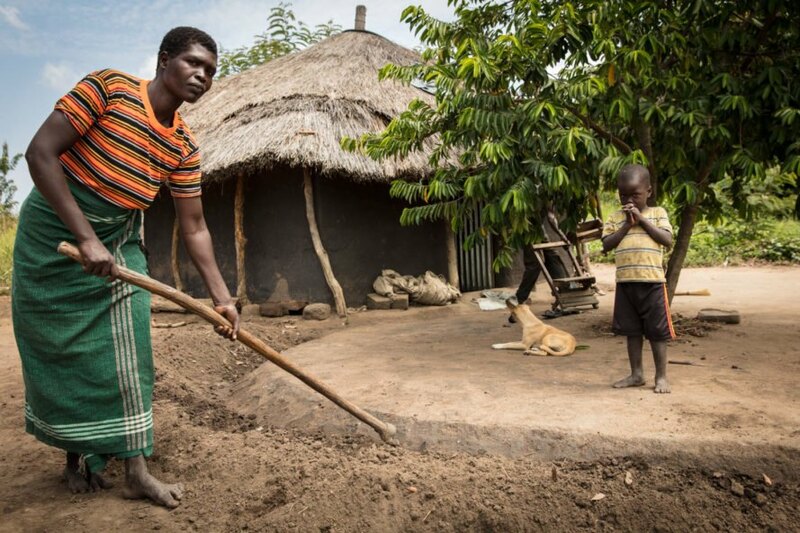 AWR works with the most vulnerable of vulnerable women: widows, formerly abducted women and girls, ex-combatants, girl mothers, orphans, those who are HIV-positive and grandmothers taking care of orphans, all of whom earn less than a dollar a day. Most have had little or no formal education and are stigmatized for their disadvantages. AWR is adamant about the women themselves being actively involved in decision-making. Before launching programs, AWR partners with community-based groups to find out what the women themselves want and need, then make plans to carry that out. “There was broad consensus that education, savings and agriculture should be the foundation of recovery,” Linda and Tom said. Once programs are up and running, community mobilizers meet weekly with program participants to monitor progress. In addition to agricultural projects, AWR is the major player in adult literacy in Northern Uganda. AWR runs 34 literacy centers serving more than 2,000 adults in Northern Uganda. With literacy comes power. Nearly 50 students and staff members at the centers, dismayed by a lack of trustworthy candidates, have run for public office. Two-thirds won. If you are interested in supporting AWR in its efforts, donations can be made here.